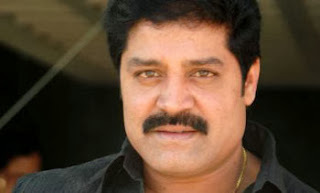 Raghumudri Sri Hari, better known as Srihari, was an award-winning actor in Tollywood. He started out in Telugu cinema as the antagonist and subsequently went on to do some notable lead roles. Born and brought up in Balanagar, Hyderabad, he is one of most well-known actors and highest paid character artist in the Telugu film industry. He started his career as a stunt fighter. After some years, he was introduced by well-known director Dasari Narayana Rao in 1986. His first movie as a hero was Police. His movie was the best opening ever for small budget films in the 1990s. He has two sons and one daughter. Unfortunately he lost his daughter, Akshara, at the age of four months.He started Akshara Foundation in her memory.He also adopted four villages in Medchal. He died with the liver related problem on October 9th 2013.